Hopefully you remember the print that the Ladies Auxiliary had for sale during the Walk for Pennsylvania Wounded Warriors. We now have prints available for you to buy for the low price of $10.00. If you are interested in a print, please let Bonnie know, btedrow@dejazzd.com. Hurry, at this price they won't last long! either POWs (Prisoners of War) or MIAs (Missing in Action). 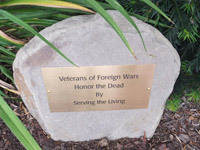 Pennsylvania Veterans of Foreign Wars Veterans Service Office will be at the post on Mondays from 1 to 6 p.m., starting September 8th, connecting veterans from all service eras and their loved ones with their eligible benefits and services. 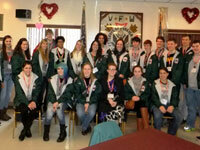 For appointments call (717) 234-7927 and mention the Lititz VFW location. 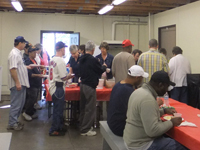 This outreach service is made possible through funding from The State of Pennsylvania’s Act 66 Grant Program. 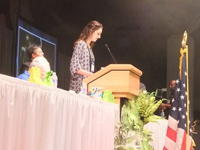 The first place winner of the Young American Creative Patriotic Art Contest, Alessandra Levato, sponsored by Ladies Auxiliary to Veterans of Foreign Wars Post 1463, Lititz, PA, stands at the podium at the National Convention in St. Louis on July 22, 2014. 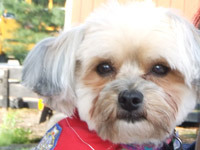 “Ali” addressed the crowd of more than 1,000 auxiliary members and guests. 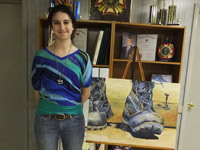 She read the short essay that accompanied her winning entry and expressed thanks to everyone at Post 1463 who helped her achieve the prize of a $10,000 scholarship and gifts from the national auxiliary and National Madam President “Sissy” Borel. . . . . .(more). ip, registration and donations received.... and donations are still coming in. 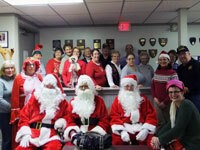 Thanks to the community organization volunteers who helped put The Walk together, starting at the November 2013 meeting. The Lititz recCenter was the hub of all planning meetings, registration and follow-through of The Walk, so special thanks to . . . .(more). 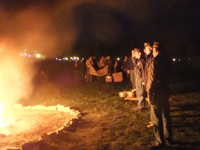 Some photos of appreciative troops in Afghanistan who received care packages sent from Post 1463 in December 2013 can be found here. 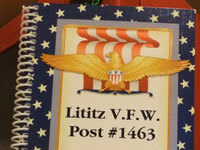 The VFW Post 1463 cookbook has arrived! Pickup a few copies at the Post for $10 each. The perfect stocking stuffer and a great gift for yourself or the special cooks in your life! 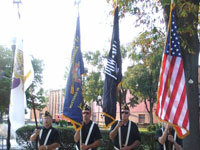 Memorial Day weekend was a very busy time at VFW Post 1463 as we remembered fallen comrades. 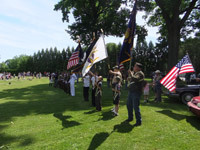 The official VFW Memorial Day message was placed throughout the Post to remind us of the true meaning of Memorial Day. 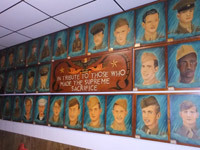 This item highlights the rich history of more than 80 portraits that hang in Columbia VFW Post 2435, Veterans of Foreign Wars at 4th and Manor Streets in Columbia and the current fundraising effort to restore the portraits. 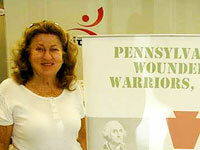 On Saturday May 11, 2013, the VFW Post 1463, the Ladies Auxiliary, the Lititz RecCenter and numerous civic groups from Lititz presented the “Lititz Walk for Wounded Warriors” which benefited Pennsylvania Wounded Warriors, Inc. 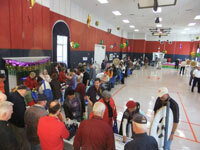 The Lititz Rec Center has posted some pix from the event on their Facebook page. 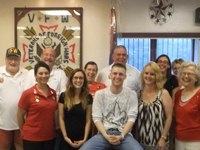 Recently Colonel Greg McCreay reached out to Lititz Springs VFW Post 1463, his home VFW Post, to update us on his recent activities and share some photos. 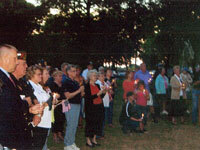 On September 21, 2012, National POW/MIA Recognition Day, Post 1463 held a candlelight vigil to raise awareness for American POW/MIAs who never came home. 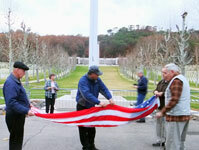 Members of the Post 1463 color guard, VFW and auxiliary members were present. Veterans from Coatesville Veterans’ Medical Center enjoyed a picnic in Manheim Township Community Park on September 15, 2012. 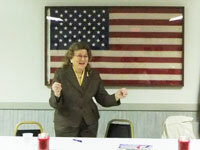 The Ladies Auxiliary to Lititz Springs VFW Post 1463 hosted the event. Our auxiliary dues have been raised to $23 annually to help cover recent increases in mandatory payments we make to the Department of PA and Cancer Aid and Research. 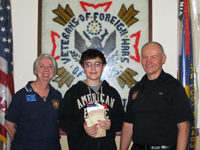 Post Commander Joel Ellis was recently notified by John Getz, VFW State Adjutant/Quartermaster that “Post 1463 has won 1st place in the Community Activity Book for the 2011-2012 year.” Our book will be submitted for the National Outstanding Community Service Post Award. Our Community Activity Book (3 volumes) will be on display at the Department Convention June 13-16 in Erie. 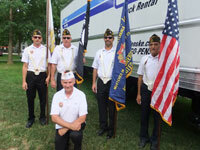 July 2012 Care Packages for the Troops took place at the American Legion Post 56 on July 12. Members of VFW Post 1463 and its Ladies Auxiliary stepped up to the plate once more and covered all aspects of this project from start to finish. 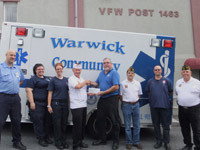 The Post continues to support community organizations, including the Warwick Community Ambulance Service, local fire companies and the Lititz Borough Police Department. 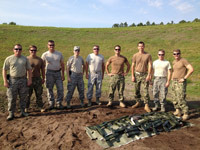 Pictures are available here. 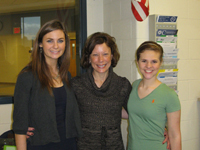 Congratulations and bravo to Anne Loechner, winner of the 2011-2012 Department of Pa Outstanding Patriotic Instructor Award. 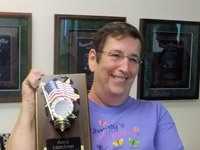 This annual award goes to only one auxiliary patriotic instructor in the Department of PA….and our Anne won it! About time! 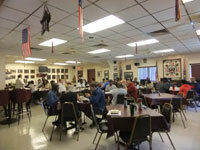 On Saturday, May 12, 2012, the Ladies Auxiliary to Lititz Springs VFW Post 1463 hosted a breakfast for 32 veterans from Coatesville Veterans Administration Medical Center. 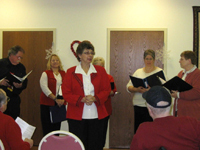 On February 14, 2012, Commander Joel Ellis and members of the Ladies Auxiliary visited veterans at Audubon Villa and United Zion Retirement Community.